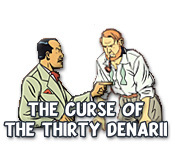 The Curse of the Thirty Denarii is rated 3.3 out of 5 by 3. Rated 5 out of 5 by Mastermac59 from More Like This please ! This game is awesome ! To people who like Belgian French "bandes dessinées" is a dream come true. More games like this are welcome, with Tintin or similar characters. Many thanks ! 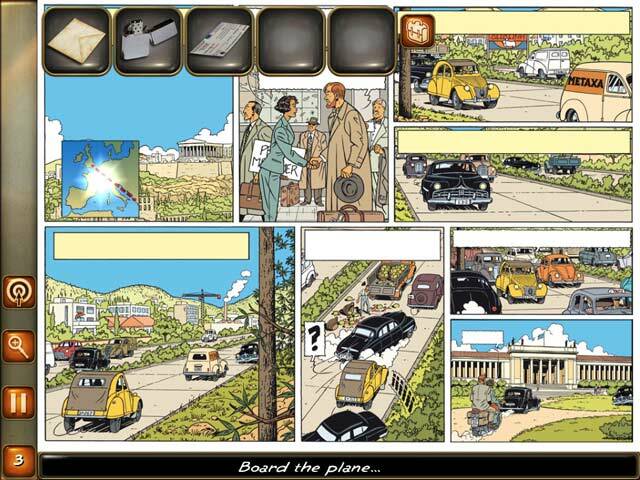 Rated 3 out of 5 by Rescue_helo from A game meant to be read, not played Adapted from one of Mortimer and Blake' adventures, a famous comic book series made in Belgium, the game follows the original publication step by step. The graphics are partly whole pages of the actual comic [a sample of which is given in the presentation] which serve both as HO Scenes as well as to tell the story. Additional HO Scenes and minigames come in intermittently. 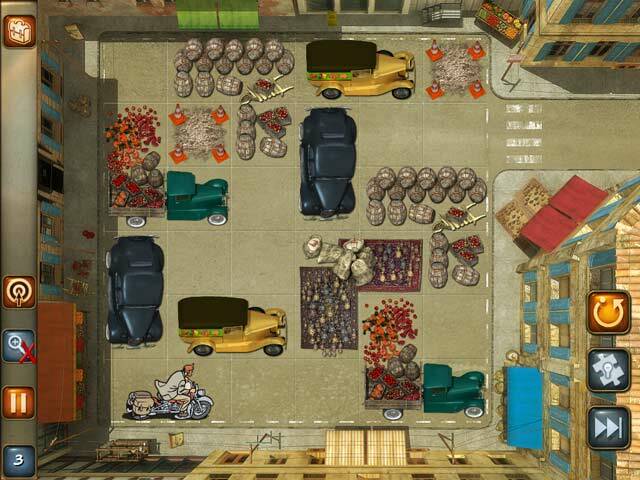 They are all hand-drawn, save for photos used either as background to certain scenes or as pictures of objects. The storyline is quite interesting, as all of this pair's adventures are, and narrated with simplicity and not without talent. In fact the game reads like a book that would have a number of interactive episodes. Everything is straightforward, easy, simple. I should say "very basic". 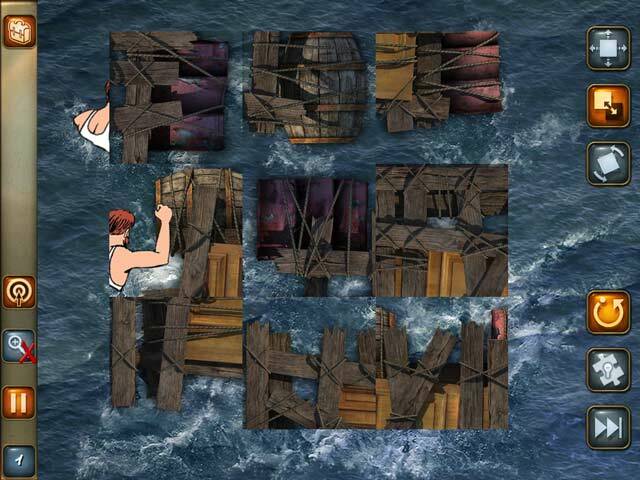 No difficulty finding the HOs, no difficulty in any of the minigames which are skippable after a while. The Hint System is slow and not very generous, but there is no reason why it should be; it is limited to 6 Hints maximum, but there's no real need to use them all. Collecting stars provide extra hints. However, there isn't much originality anywhere. Especially the minigames which are rather lame. You even have a Match 3 half way through ! Due to maximum linearity, the adventure aspect is reduced to nil; no location to visit, no exploration, no useful item to find and therefore no action whatsoever. The book was originally published in French. The English translation isn't bad at all on the whole but a few errors caused me to raise an eyebrow; "bar" instead of helm [or wheel], "sticks" instead of twigs, "ax" instead of axe, "pavilion" instead of flag..... From a reader's point of view, the game is worth 4 stars; from a gamer's viewpoint it is hardly worth 2 stars. Let's split that in half and give it a 3 star rating. As regards the recommendation, yes if you want to read a pretty entertaining comic book via your comp, no if gameplay is more important to you. Rated 2 out of 5 by mrm2006 from Are we looking for a vacation spot or an infamous discovery? That is indeed the question. Because by the title and game description we are led to believe we are going exploring for an ancient artifact - the last "piece of silver" given to Judas for ... well ... you know the story. Not sure if it's politically correct to mention it on here. The graphics were definitely like reading a comic book - and an old one at that. No lip syncing or voice overs. The background music was a bit annoying and I had to turn it down. The game DOES advise you to go into "options" and increase your brightness. I recommend you do just that. I had problems almost immediately upon playing the game. I was on "full screen" but it didn't take up my full screen and when I tried "windowed" it was even smaller. So "full screen" ahead! Not funny. Get it. I'm not feeling very funny after playing this either. There was a location where I had to locate a number of floral decorations. These little "find x number of whatever" were actually pretty fun. Until the floral decoration location. Then, after using 2 hints (you only get 4 for the ENTIRE game) I finally located the last floral decoration. It was, and still is, outside the perimeters of my screen availability. Hence, game finished for me. I would have liked to have finished this game because I was brought up on this story and would have liked to see how the loss of 1 silver piece changed, or was going to change, world history. So, needless to say, this will not be a purchase for me (boo hoo) but I recommend everyone to give it a try. The demo is free and it's only an hour long. Happy Gaming!